Imagine you have a bar of chocolate and wish to cut it into individual pieces. 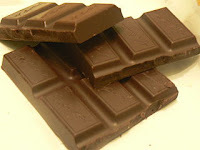 Like the chocolate in the image, the bar is one solid piece but moulded to have distinct chunks. If your bar is 3 chunks wide and 5 chunks long, how many cuts do you need to make so that you have all individual chunks? A slice means one straight-line cut with a sharp knife. You may not stack pieces on top of, or next to, each other in such a way as to cut through multiple pieces with one cut. In general, if a bar of chocolate is n chunks wide and m chunks long, how many cuts (as described above) would you need to make in order to separate it into individual pieces?